Live Action Guide Service offers a wide variety of fish and duck species to chase. Muskies in Wisconsin can be fished for starting in the end of May through mid to late November. In those months, you have the option to cast or troll for Green Bay's giant muskies. The best time to reel in Wisconsin's fish are in the months of August and September. There are two main seasons in walleye fishing: trophy walleye season and eater walleye season. Trophy walleye season is from late March through April where we catch giant walleyes. Eater season happens a little later in the year from May through September where we catch smaller, tastier walleyes for eating. Another fish we like to chase at Live Action Guide Service is Smallmouth Bass. From May to September, we make the trip to beautiful Door County to catch monster smallies. The best days to catch large numbers of fish are in June. The Wisconsin duck hunting season starts in October and runs through early December. During those months, the Green Bay area is flooded with large numbers of ducks. Both diver ducks and puddle ducks are targeted during this time depending on preference. At Live Action Guide Service, we provide all poles, tackle and bait when you book. 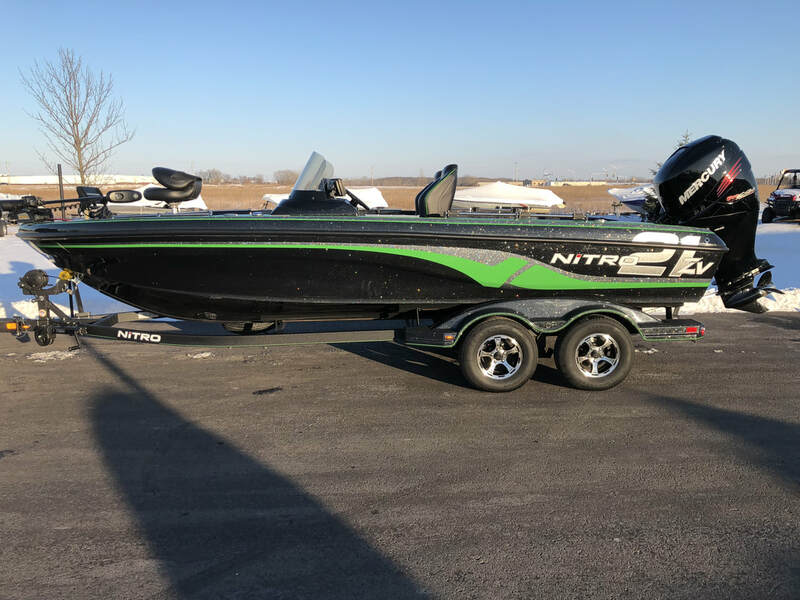 Additionally, you will be fishing out of a 2018 Nitro ZV21 equipped with a 300 Mercury Verado Motor, Minnkota Terrova I Pilot Trolling Motor, Mercury 9.9 Pro Kicker Motor, and 3 Humminbird Helix 10 inch GPS's.